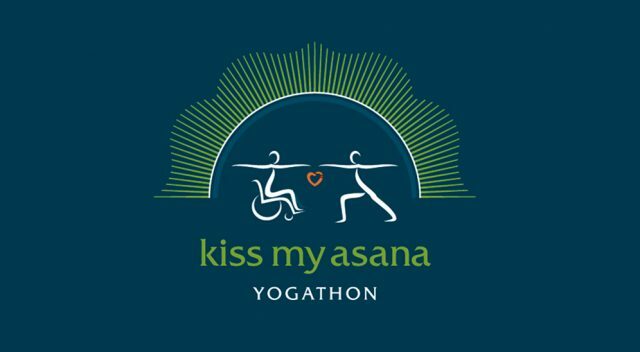 Devanadi is proud to be a 2016 Participating Studio in the Mind Body Solutions’ Kiss My Asana event. Kiss My Asana is a four-week yoga challenge during February 2016. It’s an opportunity to do what you love (yoga!) while raising awareness and resources for an important non-profit working to provide hope and healing to thousands around the world. How does the Kiss My Asana Yogathon work? It’s simple. Commit to increasing your yoga practice by ANY amount for the month of April. For example, increase your once-a-week practice to two, maybe three times a week. Or perhaps you simply “up” the number of minutes from 60 to 90 each week. Maybe you’ve never tried yoga and simply committing to ONE PRACTICE is just your speed. The choice is yours – use your imagination! Your practice can happen at a studio, a community center, at home…wherever you put your mat or chair! Simply COMMIT. You will FEEL the benefits of yoga and help us SHARE the work of Mind Body Solutions. Their goal is to raise $75,000 to help fund our Adaptive Yoga Program. Let’s open yoga to everyone. Participate or sponsor a yogi! Join us and help transform lives in simple, effective and profound ways. The KMA Studio Passport! Your passport to FREE Yoga Classes throughout the Twin Cities! Thank you to these amazing and generous studios. Go visit them in April!